"This main dish is beautiful in its presentation and always comes out tender and juicy even if you overcook it a little. The crust of bread crumbs holds in all the juices and adds a great look and taste to the finished product." British English recipe for Breaded Pork Fillet. French recipe for Filets mignon panes. 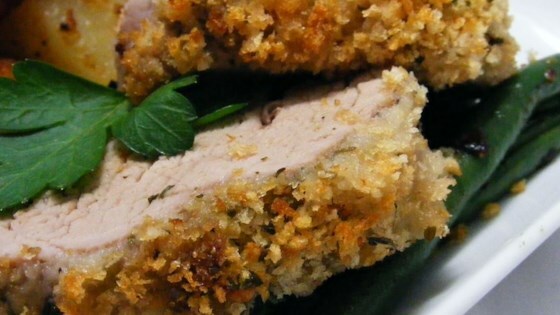 Australian recipe for Crumbed Pork Fillet.